This article describes the history of the recently digitized and online accessible Archive for Research in Archetypal Symbolism (ARAS), from its 1930s origins at the famous Eranos annual conferences of eminent scholars in Ascona, Switzerland to the present. The purpose, function and structure of the collection are explained and illustrated with an example. ARAS is compared with other art image databases, and its unique features are elucidated. The article argues that the heritage and focused purpose of ARAS has allowed it to successfully address common iconographic challenges and that the online resource (www.aras.org) adds important new dimensions to the user experience. Keywords: Iconography; archetypal symbolism; cross-cultural symbols; Fröbe-Kapteyn, Olga (1881-1962); Jung, Carl Gustav (1875-1961). Figure 1 Olga Fröbe-Kapteyn in the 1930s. Photograph by Margarethe Fellerer. Courtesy of Eranos Foundation Archives, Ascona-Moscia, Switzerland. Around 1920, Olga Fröbe and her father went for a recreational stay to the Monte Verita sanatorium in the Swiss village of Ascona, located on the western bank of Lake Maggiore, a setting of great natural beauty looking south into Italy. Ascona had since the late nineteenth century developed into a gathering place for artists, writers, dancers, political radicals, utopians and gurus, including Lenin, Trotsky, Mikhail Bakunin, Prince Kropotkin, Hermann Hesse, Stefan George, Rudolf Steiner, Mary Wigman, Isadora Duncan, Hans Arp, Paul Klee, Emil Jannings, Emil Ludwig, and Erich-Maria Remarque. 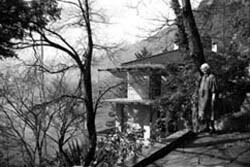 Albert Kapteyn bought a house overlooking the lake, Casa Gabriella (Figure 2), for his daughter and provided funding for her to live in reasonable comfort. 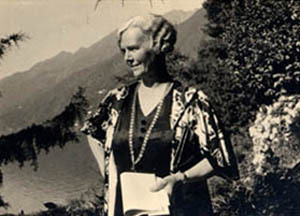 Olga Fröbe's great interest was spiritual research, and she built a lecture hall and a guesthouse on her grounds in 1928. After a short and unsuccessful attempt at running a school for spiritual research, she developed the idea of founding a meeting place for East and West. In 1932 she went to Marburg to visit Rudolf Otto, the prominent German theologian, scholar of mysticism and comparativist of Eastern and Western religions. Otto was very receptive to her plan for a lecture program and proposed the name "Eranos," which in Greek means a shared feast. Figure 2 Casa Gabriella, Ascona, Switzerland in the 1950s. Photograph by Margarethe Fellerer. Courtesy of Eranos Foundation Archives, Ascona-Moscia, Switzerland. Archetypal Symbolism and Images 247. 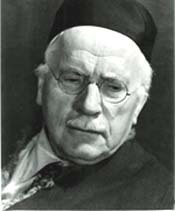 Figure 3 Carl Gustav Jung in the late 1940s. Photographer unknown. Courtesy of Thomas B. Kirsch, MD, Palo Alto, CA. Despite the difficulties of the pre-war years, the Eranos conferences took place without interruption. Planning for next year's conference would begin as soon as one year's conference was over. Olga Fröbe was the impresario and organizer, although she insisted that Eranos was without plan or program. She decided the theme, invited the speakers, organized the announcements and printing of programs, booked accommodations, planned catered lunches and dinners, made traffic arrangements with local authorities. A conference typically included anywhere from seven to twelve half-day lectures, delivered in German, French or English, and attended by up to two hundred persons. The afternoons were open for informal discussions, sailing on the lake, excursions in the area or reading. An equal representation of first-time speakers and speakers with previous Eranos experience assured renewal and continuity through the years. The 1938 Eranos conference on "The Great Mother" included an exhibition of large photographs from the Eranos Archive (Figure 4). Hildegard Nagel took the pictures back for an exhibition at the Analytical Psychology Club in New York, thus facilitating Eranos' debut in America.12 The exhibited pictures later became the basis of Erich Neumann's book The Great Mother: An Analysis of the Archetype (New York: Pantheon, 1955). Figures 5, 6 and 7 show expressions of the Great Mother archetype from three different cultures and time periods. Jessie E. Fraser, Librarian of the Analytical Psychology Club in New York, was entrusted with editing and cataloging the archive. In 1959, her proposal for a cataloging scheme found support with members of the Eranos Conference, and the Bollingen Foundation decided to make the archive a special project and increase their grant.17 In 1960, the archive was renamed the Archive for Research in Archetypal Symbolism (ARAS), reflecting the many additions to the original Eranos collection. 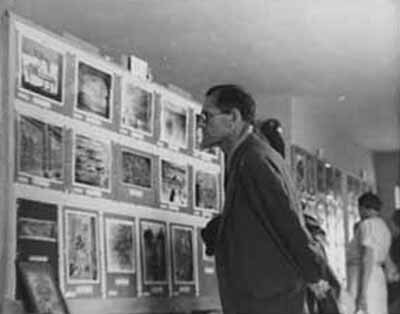 Figure 4 Swiss journalist and publicist Fritz René Allemann viewing the Eranos Archive in 1939, featuring archetypal representations related to the process of rebirth. (The Eranos Conference 1939 was entitled "The Concept of Rebirth in the Cults and Religions of Various Times and Peoples.") Photograph by Margarethe Fellerer. Courtesy of Eranos Foundation Archives, Ascona-Moscia, Switzerland. In 1969, the Bollingen Foundation gave ARAS to the C.G. Jung Foundation for Analytical Psychology in New York, who undertook a ten-year development project funded by Jane Abbott Pratt and the Frances G. Wickes Foundation. The archive grew and had, in 1977, reached 25,000 representations, of which 12,000 were mounted, numbered and in various stages of completion and 8,000 finished.19 Copies of the collection were housed at the C. G. Jung Institutes in San Francisco and Los Angeles. These three Jungian centers are the founding members of National ARAS. Figure 5 The Goddess Ninhursag ("Lady of Birth") c.2017-1763 BC. Terracotta, 10.2 cm high. 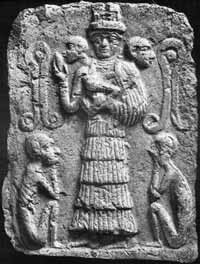 Origin: Babylonian Period, Return of Amorites to Babylonia, Time of Isin and Larsa Dynasties. Provenance: Iraq. ARAS Record 2Bh.004. Repository: Iraq Museum, IM 9574, Baghdad, Iraq. commentaries was scanned. About 45,000 catalog cards from the New York and San Francisco collections, which had continued its own further development since the early 1980s, were combined to produce 10,000 different keyword-based archetypal themes. Private donors funded this large project that ultimately resulted in ARAS becoming available as an online subscription-based resource (www.aras.org) in 2005. 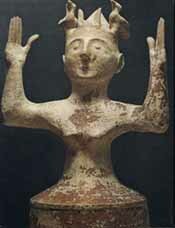 Figure 6 Minoan Deity or Worshipper. Terracotta. Origin: Pre-Hellenic Era, Crete, Post Palace Period, Late Minoan IIIa, b, c (Achaeans in Crete). ARAS Record 3Ce.002. Courtesy of Archeological Museum Herakleion, Crete, Greece. 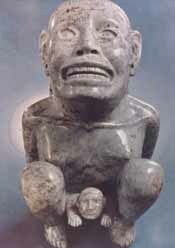 Figure 7 The Goddess Tlazolteotl. Aplite speckled with garnets, 20.2612 cm. Provenance: Mexico. Origin: Mexico, Aztec. ARAS Record 8Bd.017. # Dumbarton Oaks, Pre- Columbian Collection, Washington, DC. to recognize it). So it is with the archetypes: they are common to all humankind, yet each person experiences them in a unique and personal way. It is the manifold expressions of these archetypal images and symbols that make up the ARAS collection. The collection probes the universality of archetypal themes and provides a testament to the deep and abiding connections that unite the disparate factions of the human family. Circumambulation-"a walk around the image"-is a term used to describe the interpretation of an image by reflecting on it from different points of view. Circumambulation differs from free association in that it is circular, not linear. Where free association leads away from the original image, circumambulation stays close to it. Jung uses the term "circumambulation" in his commentary on The Secret of the Golden Flower,30 where he defines it as a "psychological circulation" or "movement in a circle around oneself" so that all sides of the personality become involved (CW 13: 38). In the mandala, Jung saw a uniting symbol or an archetype of wholeness. The ARAS homepage (www.aras.org) illustrates this variety with two examples. One example shows the results of a search for the archetypal theme "lion";34 the other is an animated collage of images associated with the archetypal theme "snake on tree. "35 Both examples let the user enjoy the full richness of the images on their own and discover how many cultures and eras have expressed a common idea, each in their own ways.